This post is the fourth post in the series ‘The Story of Thai Democracy’, where I’ll be covering the political history of Thailand since the transition from absolute to constitutional monarchy. You can read the previous posts in this series here. Plaek Phibulsongkram (Phibun) was a man with a mission. The Khana Ratsadon had come to power promising democracy and development for the nation. Phibun, however, was different. He was far less interested in Pridi’s leftist economics and vision for a liberal, democratic society. 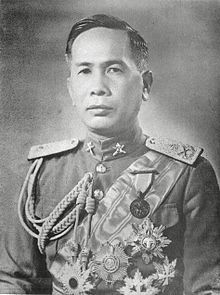 He was, instead, inspired by the fascist leaders of Europe and Japan, and desired to build a “Great Kingdom of Thailand”: to promote nationalism, to gain acceptance from the West, and to elevate the country to great power status. We must be as cultured as other nations otherwise no country will come to contact us. Or if they come, they come as superiors. Thailand would be helpless and soon become colonised. But if we were highly cultured, we would be able to uphold our integrity, independence, and keep everything to ourselves. First, Phibun changed the name of the country from Siam to Thailand, to emphasise that this was a country for the Thai people. Phibun ordered that the national anthem and national flag be honoured, a custom which continues to this day. He made major amendments to the Thai language by simplifying the script. People were encouraged to buy and use Thai products. More intrusively, Phibun decreed that people must stop wearing traditional Thai dress in public, and must instead be attired in the western fashion. A particular slogan exalted that “wearing hats will lead Thailand to great power status”. Men were told that they must kiss their wives before leaving for work. Phibun even invited the term ‘sawasdee’ to be used for greeting each other. It was, in short, an attempt to build a nation and invent a national character. Phibun also set about emulating the other fascist leaders of the age by building a personality cult. People were told to refer to him as tan poonum: “the leader”. His portrait went up in homes around the country; propaganda posters announced that not having a portrait of Phibun at home was a “shameful thing indeed”. A slogan was oft-repeated: “believe in the leader and the nation will be secure”. Gone was the pretence that the Khana Ratsadon were there to bring democracy to the country; the regime was to be a military dictatorship centred around one man. And it was militarised indeed. Phibun, taking note of the Hitler Youth, started his own ‘Yuwachon Movement’ where schoolboys were given military training while schoolgirls studied nursing. Thailand’s militarisation went beyond that, however. 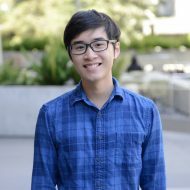 Phibun harboured grandiose dreams of a Thai empire, namely by recovering the ‘lost territories’ that had been ceded to the colonial powers during the reign of King Rama V. When France fell to Germany during the Second World War, Phibun saw his chance to pounce upon a weakened French colony in Indochina. He ordered Thai forces to invade Laos and Cambodia. The former was swiftly conquered; the second, on the other hand, saw the Thai military bogged down. The French eventually launched a surprise counterattack by sea, which led to Japan’s intervention in the conflict. A peace was mediated, on the terms that France would cede some of its territory in Cambodia and Laos back to Thailand. A delighted Phibun built the Victory Monument in Bangkok to commemorate his win over a former colonial aggressor. For a man who had once noted “if you don’t want to be scum, you must be a great power”, this was a major victory. Although Phibun had used France’s weakening during the Second World War to bring about his victory, he would not be able to escape that war for long. On December 8, 1941, Japan invaded Thailand and asked to be allowed passage to invade Myanmar. Phibun was sympathetic to the Japanese, but in the event he had little choice but to accept and ally Thailand with Japan. In return, Japan allowed Phibun’s armies to annex Burma’s Shan states, furthering Phibun’s dream of a Thai empire. What he disliked was that Japan wanted to include Thailand in its Greater East Asia Co-prosperity Sphere, the term it had coined for its empire. How could Thailand become an own imperial power in its own right if it had to be Japan’s supplicant? Pointedly, the prime minister refused to attend Japan’s Greater East Asia conference. But there would be limited opportunity for Phibun to continue to pursue his grandiose schemes. As the Allies continued bombing Bangkok, tempers were starting to fray. Some worried that the prime minister, who continued to issue cultural mandates during the war, had simply gone mad; why, many wanted to know, was he worried about whether Thai men were kissing women before going to work during the midst of a world war? This would end up benefitting Pridi Panomyong, Phibun’s onetime ally and now enemy. When Phibun had become prime minister, he had retained him in his cabinet, despite Pridi’s opposition to Phibun’s right-wing policies. But once Thailand joined the Second World War, Phibun decided that it was time for the vehemently anti-Japanese Pridi to go; Pridi was instead made regent of the young King Ananda Mahidol, who was still studying in Switzerland. Outside the cabinet, Pridi made it his secret duty to resist the Japanese, forming the Free Thai Movement. He was joined by a number of influential officials, including Khuang Aphaiwong, the Thai ambassador to the US who had refused to deliver Phibun’s declaration of war (which meant the US also never declared war on Thailand). Lord Louis Manbatten would remark that the situation was strange, in that “the Supreme Allied Commander was exchanging vital military plans with the Head of a State technically at war with us”. In 1944, Phibun’s popularity plummeted once he announced that the capital should be moved from Bangkok to the sleepy province of Petchabun. It perhaps made some military sense- the city was difficult to access and could be used to resist the Japanese later on as a fortress- but it proved to be one eccentric order too far. Phibun lost a major vote in parliament on moving the capital city, and was forced to resign. Pridi quickly engineered a change in government: his ally Khuang Aphaiwong was elected prime minister. Khuang’s task was a delicate one: he was an ardent supporter of Pridi’s secret Free Thai Movement, but he had to pretend to be an ally to the Japanese. Khuang was succesful, however, in pretending to be sympathetic to the Japanese cause while aiding Pridi. 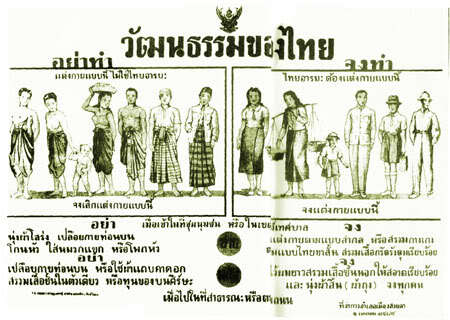 Pridi had initially planned for a major uprising by the Free Thai Movement against the Japanese, but this became unnecessary after the atomic bombings of Hiroshima and Nagasaki. Immediately upon Japan’s surrender, Pridi announced as regent that Phibun’s declaration of war on the Allies had been unconstitutional. Khuang resigned as prime minister to make it easier to conduct negotiations with the Allies, replaced by Seni Pramoj; Seni was able to bring the negotiations to a satisfactory conclusion. Eventually, Pridi resigned the regency and became prime minister himself. Power seemed to have shifted decisively from Phibun’s wing to Pridi. The new prime minister continued his attempts to build a more democratic state, such as by passing a constitution that created a fully elected legislative chamber. Unfortunately, Pridi would have barely any time to actually rule, for then a tragedy no one expected struck. The young King Ananda Mahidol, who had just returned from Switzerland where he studied to Thailand, was suddenly shot dead in his bedroom. Pridi had made numerous enemies, particularly Phibun’s clique, and they saw an opportunity to go on the offensive. Pridi was accused of regicide, and he was forced to resign as prime minister. But this did not placate the military. Eventually, a coup was launched, bringing Phibun back to power, while Pridi fled the country. Phibun now began his second stint as prime minister. Pridi would make one final attempt to return to power, in 1949, he sneaked back into Thailand. 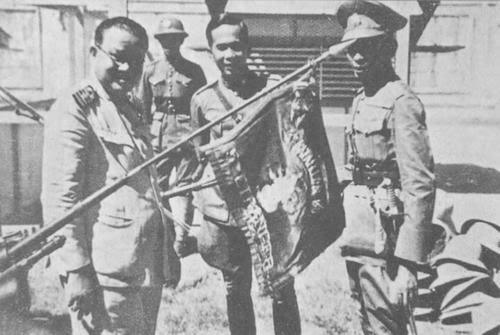 Forces loyal to him in the navy and former members of the Free Thai Movement seized the Grand Palace and Thammsat University and proclaimed the end of the Phibun regime. It was to no avail; the plot failed, meaning Pridi had to once again flee the country, first to China, and then to France. Nothing in this world is constant. Everything must keep moving and changing without stopping. Plants, animals and even humans: once they are born, they must grow, and once they can no longer grow, they must decline and fall. The Khana Ratsadon had once risen to supreme power, but when the fall came, it was swift. The decline and fall of Pridi spelled the end of the Khana Ratsadon’s hold on power, and the death of their revolutionary ideals; the government in power was no longer the same Khana Ratsadon clique. But the man who had engineered Pridi’s fall would later experience the same thing. Phibun would also eventually be overthrown in a coup, by a man even more dictatorial: Sarit Thanarat. In the next post, I’ll be covering Phibun’s second premiership and his triumvirate with Phao Sriyanond and Sarit Thanarat. This appears to be a kind of carbon copy of E Bruce Reynolds rather weak article on Prime Minister Phibun: “Phibun Songkhram and Thai Nationalism in the Fascist Era.” published in the European Journal of East Asian Studies over a decade ago. Unfortunately, this blog entry sufferers from the same lack of objectivity and analysis that Reynolds displayed in his article; that Phibun was somehow a fascist, and Pridi a liberal democrat. The premise that Phibun was a fascist rests upon to fallacious premises. 1. An extremely loose definition of fascism that takes it out of any historical context and into a broad brush political pejorative. Reynolds did not define “fascism” in his article, and failed to demonstrate how Thailand could be considered as such during the period. When one takes an examination of what “fascism” actually is, then compares it to the Phahol and Phibun regimes, it is easy to see how the charge of “fascism” does not hold up. 2. Three documents by foreign writers (The first was a wartime propaganda piece by a writer aligned with the KMT faction in China who had never been to Thailand and yet published in one newspaper that “Phibun received visitors under an autographed photo of Mussolini”….this was never mentioned anywhere else, and the authors other embellishments of the truth never brought up to evaluate his obvious fabrication. The second two foreign materials were passing references to a fascist like character of the regime by a French and British dispatch. The other 5-6 thousand dispatches that do not compare the Phibun regime to fascism are not used to provide context for the two that mention in passing. (*Note also that the Times paper before the selection of the Khana Ratsudon leadership the day following the 1932 Revolution wrote about who would be the “new Mussolini of Thailand”, so the use by foreign observers in passing comparisons to “fascism”, “Mussolini”, etc during the period that are devoid of structural analysis should be evaluated in context. In addition, it demonstrates clearly how this trope of Thai “fascism” and comparisons to Mussolini begin well before Phibun, and should never be used as “proof” of the nature of a regime. In addition, we can see that the very nature of Thai democracy, that is being called fascism by Reynolds and the author of this blog, was created by Pridi himself. The constitution, and it’s construct to place all political power into one party, was crafted by Pridi!! He believed in the system, in fact implemented it to a greater degree in his second constitution post war (that set the precedent for creating constitutions that instill only the rights of the ruling clique in power and NOT the people). So if Phibun is to be called “fascist”, then Pridi, the author of the very system ensconced in the constitution that gave him the ability should be labeled a “fascist” as well. In some ways there is far more weight for the fascist label on Pridi whose economic policies mirror those of the Italian syndicalist system and German National Socialism far more than the policies implemented before the wartime measures by Phibun. The other blog entries are informative, but I am afraid this one has taken the low road in copying Reynolds flawed “European Bookend” type work and in so doing, shortchanges the opportunity to view the genesis of modern Thai political paradigms in depth. Hi Aryeh, thank you for your comment. I actually did not consult Reynolds’ piece while researching for this article. I do concede your point, however, that to say Phibun’s regime was a ‘fascist regime’ could indeed be considered a simplification, one which I made in order to make this topic as accessible as possible to readers. However, I will take this into consideration in future revisions of this article.